Last year at the age of 81, Willie Nelson earned his 5th degree black belt in the Korean martial art Gong Kwon Yu Sul. For most people under 50, Nelson is known – if he’s known at all – as that old hippie guy with the headband, and the reedy tenor voice. Even among those who know Nelson a bit better, a large shadow still tends to be cast by Stardust, his best selling album of MOR standards. That’s too bad. 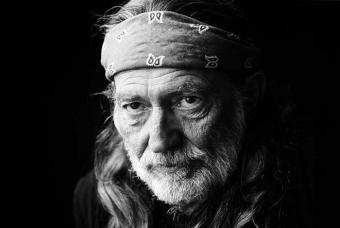 Because for the past 50 years, Willie Nelson has also been one of the most gifted songwriters in American music. Plus, he’s a terrifically sensitive interpreter of his own songs, and of everyone else’s. Not surprisingly, there are a lot of good-times-and-morning-after songs in his repertoire. “Me and Paul” is an account of his rowdy times on the road with his drummer and partying amigo, Paul English. “The Party’s Over” is a self-explanatory break-up song. In his mid 60s, Nelson revisited these sentiments in “I’m Not Trying To Forget You Anymore” – which is a song about gratitude, after a bit of healthy distance from a former lover. 2. His sad songs are still the real killers, though. This 1961 demo of “Opportunity to Cry” comes from the Crazy : The Demo Sessions album, which is an astonishing collection of early songs. It must have been a rough time in Nelson’s life. How stark is this? or want to kill you on sight? “Permanently Lonely” is another early 1960s song that Nelson wrote about loneliness, as a form of penance. Most people will eventually bounce back from heartbreak, as their survival instincts kick in. Yet the person who inflicts the heartache, Nelson suggests here, may have condemned themselves to a lifetime of loneliness. Right. Or is this merely wishful thinking on the singer’s part? That those who play with fire get burned…. Yikes. Then, from the mid 1990s, there’s “Too Sick To Pray” – which eventually ended up in a definitive version on Nelson’s autumnal album Spirit. On this live TV version from 1996, Nelson gets sensitive support from Mickey Raphael on harmonica. For someone commonly written off as a dope-addled hippie, these are three very, very dark songs. 3. Regardless of the woe that’s on show here, these next two examples are not mournful pieces of work. Sure, having his true love walk out on him is the my-bad-day-just-got-worse centrepiece of “The Last Thing I Needed (The First Thing This Morning)” but the details are pretty amusing, amidst all the emotional debris. “ I opened the door on my knees” for instance, is the kind of line that could be written only by someone who has been there, done that. 4. Here are a couple of early examples of Nelson’s songwriting genius that became hits for other people. Faron Young was an early patron and terrific interpreter of Nelson’s writing – and this live version by him of Nelson’s song “ Three Days” is a knockout. (K.D. Lang also recorded a memorable version.) As for “Crazy” …it is now an American classic, and no-one has ever sung it better than Patsy Cline. 5. Nelson’s 1975 album The Red-Headed Stranger could hardly have been more out of step with its times. It got released into a world of glitter bands, prog rock and the soft rockin’ of the Eagles and the Doobie Brothers. In its own stark way, the album was as confrontational as punk. It assumed your tolerance of double homicide as a sympathy-engendering plot device, as it told an impressionistic story-in-song about a preacher who killed his wife and her lover (“They died with the smiles on their faces”) thereby condemning himself to a wandering life of regret. Nelson’s own songs were intercut with instrumentals (including a Bach minuet) and odd scraps of old folk and country music standards, and it remains a unique piece of work. At the time, Radio New Zealand baulked at playing the album’s solitary hit – “Blue Eyes Crying In The Rain” – on the excuse that Willie’s rendition was not up to RNZ’s required production standards. Right. It didn’t sound like the Eagles, that’s for sure. 6. 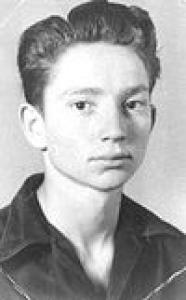 Strange to relate, Willie Nelson wasn’t born with a bandanna around his head and a joint in his hand. As proof, here’s a clip of an impossibly spruced-up Mr. Nelson from the early 1960s singing the song that really put him on the map in Nashville as a songwriter. “Hello Walls” was originally a hit for Faron Young, but this time Nelson’s version was the one to keep. This last track I’ve chosen features his skill as an interpreter. In the late 1950s, Ray Charles had a hit with his version of the great Cindy Walker song “You Don’t Know Me.” The contrast is pretty telling. In Charles’ hands, the effect was pathos, with the singer resigned to the distance between himself and his object of desire. This version by Nelson – who once recorded a whole album of Cindy Walker songs – is more personal. It retains an edge of friend-zoned pain and regret. Some things never do get resolved.